Shopping for Harry Potter Gift Sets? Make your keys a little more exclusive! 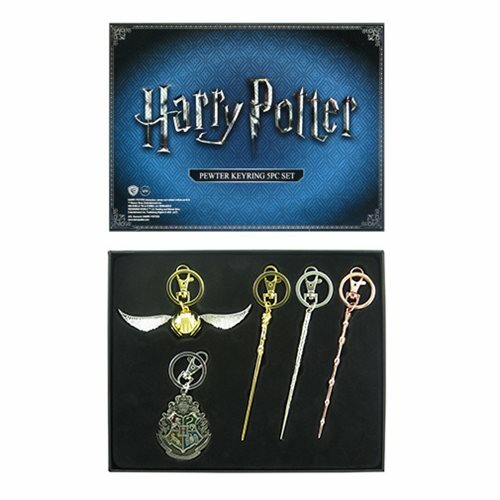 From San Diego Comic Con 2017, this Harry Potter Pewter Key Chain 5-Pack includes the wands of Harry, Hermione, and Dumbledore, the golden snitch, and the Hogwarts crest. This Kingdom Heart Pewter Key Chain 4-Pack - San Diego Comic-Con 2017 Exclusive comes packaged in a slip case display box.